A recent study showed severe tooth decay was the top reason for preschoolers' day surgery. Drinking bottled water over tap water is one potential culprit for cavities, according to a Hamilton dentist and former president of the Ontario Dental Association. It's a convenient choice when you're running out the door to hockey practice, but choosing bottled water over fluoride-spiked tap water puts children at risk for tooth decay, according to a former president of the Ontario Dental Association. "It can certainly have an effect cumulatively. If you think that the majority of water that the child is drinking is non-fluoridated, then they miss out on the benefits that fluoridation in water can provide," said Larry Levin, a dentist and former ODA president who practices in Hamilton. "[Parents] have to be extra vigilant in doing other things to counteract that so that their children don't develop decay." A study released last week from the Canadian Institute for Health Information found severe tooth decay was the top reason for preschoolers requiring day surgery in Canada. According to the report, about one in every 100 preschoolers required surgery for dental decay between 2010 and 2012. The toothy problem seems to be on the rise, too, Levin said. "Dentists generally are seeing a moderate rise in decay in children. I hear that anecdotally from my dentist colleagues." In Hamilton, city tap water has been treated with fluoride since 1966, but it's a contentious issue for some. In 2012, there was a push from activists for the city to stop fluoridating water over concerns it was unsafe. After months of debate, city council ultimately decided to continue the practice. Levin said drinking fluoridated water, like Hamilton city tap water, is one of the best ways to prevent tooth decay in children. Parents always need to make sure their children are brushing their teeth regularly with fluoridated toothpaste and avoiding sticky, sugary treats, but if they're not getting the added benefit of drinking fluoridated water, they have to be extra-careful. 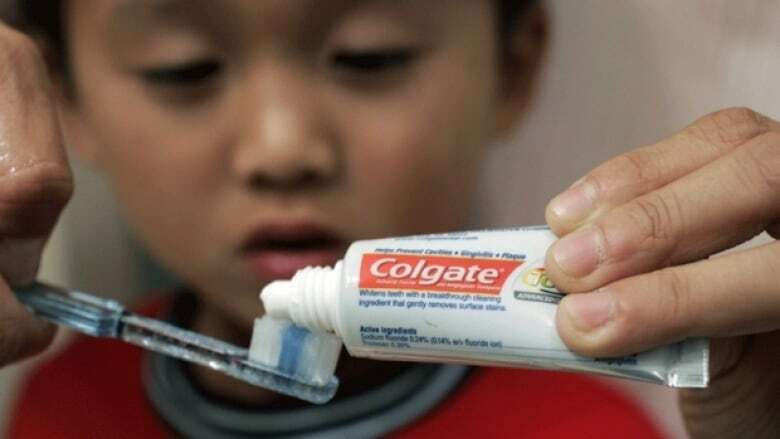 If you can't kick your kids' bottled water habit, Levin said being extra attentive to other oral care techniques should counter-act any damage done by missing out on the fluoride hit. "If you counteract it with the things that I've mentioned, you will be just fine."